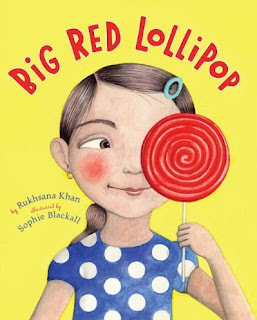 Big Red Lollipop, by Rukhsana Khan, illustrations by Sophie Blackall, Viking Children's Books, March 2010. I'm an only child, I therefore never experienced having a brother or a sister, though I know very well all the little bullying that kids make one another, this is why I've immediately loved this wonderful book by Rukhsana Khan. 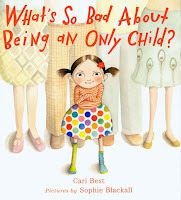 Besides my personal life, the true reason why I decided to tell you about this book is dual: first of all the author has a very interesting personal story, cruel, always current and present in the books she writes; secondly because I particularly love the illustrator, Sophie Blackall, unluckily she is not as famous as she should be here in Italy. Rukhsana Khan was born in Pakistan, in Lahore, but her family moved to England before and then to Canada. And it was in the country of Maple Syrup and Niagara Falls, that little Rukhsana and her family were forced to endure the worse humiliations due to their ethnical difference. 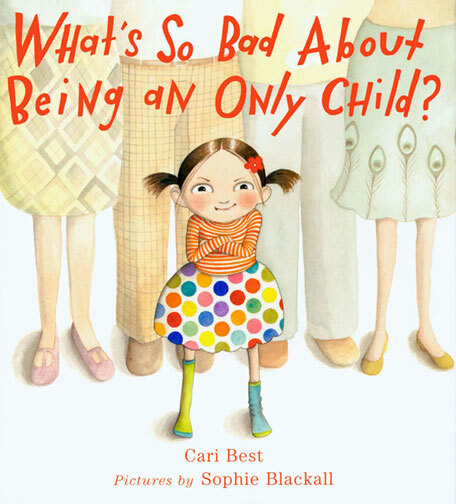 This was as bad as the author tells she had no friends for a long time and, consequently, turned into reading. Kahn furthermore asserts that these difficulties made her a writer. For sure such events marked her life forever, though they seem to have left no trace of grudge in her, just like Rubina, the main character in Big Red Lollipop. Sophie Blackall comes from Australia, she now lives and works in New York. We don't know much about her, except that on her Missed Connections* she enjoys giving us little Polaroids representing urban life, that she loves collecting a bit of everything and that her studio is quite messy. We know as well that, after working in a shoe-shop and in a robot company, she recently collaborated with pop star Mika for the making of the booklet that accompanies his Songs for Sorrow and for part of the illustrations for his last album, The Boy Who Knew Too Much. 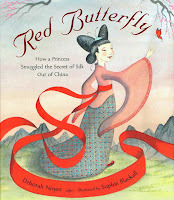 She furthermore illustrated the cover of the beautiful novel When you reach me, the last masterpiece by Rebecca Stead. As Betsy Bird, on her A Fuse #8 Production Blog*, rightly points out, the first spread of Big Red Lollipop seems to be recalling the cover of When you reach me. How these two distant worlds could have met, giving birth to such a nice book, is a mystery I'm happy not to be able to reveal. 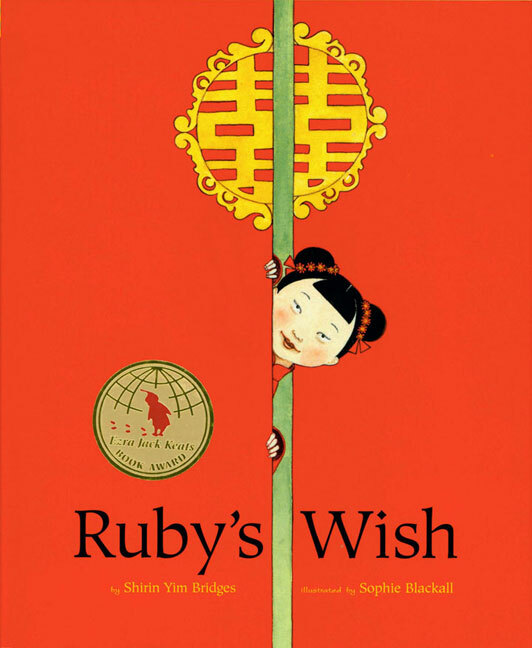 After all, the most important new in this post is Big Red Lollipop: the story of two sisters and a birthday party. The story of Rubina - the elder - who loves to keep things to enjoy them only when the right moment comes, and Sana - the younger sister - who thunders around like an earthquake and tramples everything on her way, careless of what her actions will cause. It's as well a story about forgiveness, of understanding and Brotherhood, in the true meaning of the word. 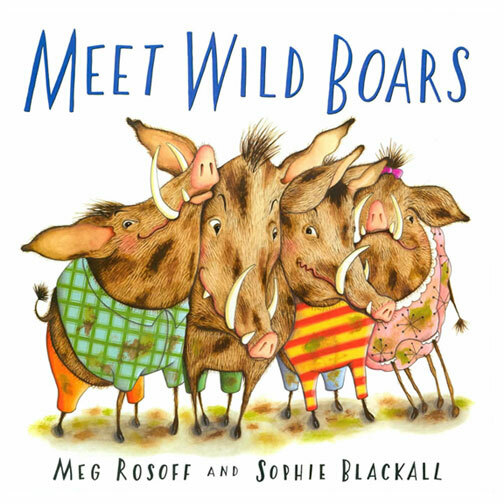 Sophie Blackall's illustrations are delicious, as usual delicate and refined, standing out on a white background. 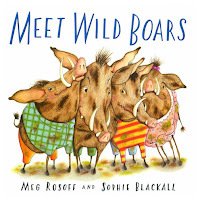 In these images the artist's ability in capturing characters' expressions is central: Blackall seems to be able to have her characters express way beyond the text, underlining the unsaid, widening the thematic the author deals with. In short, a book you shouldn't miss. her first and only (SOB!) book that was published in Italy by Motta Junior, under the title Il Sogno di Rosso Ciliegia.